Within a few steps of the Odeon roundabout, the discreet rue de Condé is home to one of the best kept secrets of where to confront the winter cold. 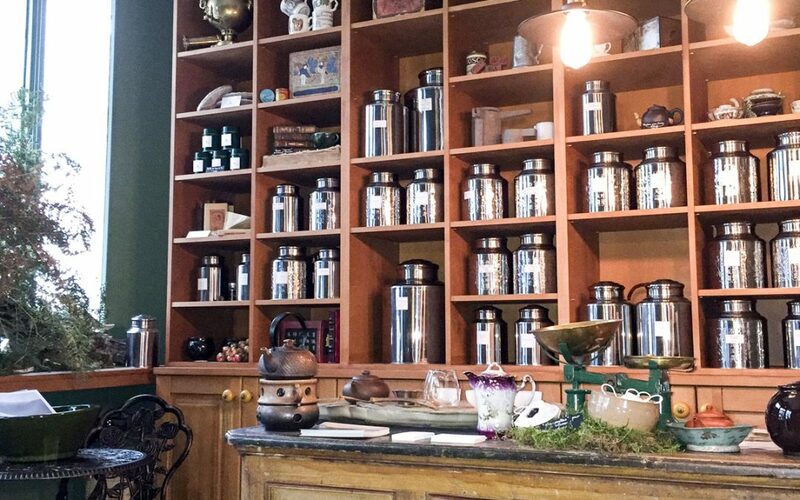 Here, Arnaud Bachelin, archaeologist by training, has created a proper “Tea House”, selling loose tea at the counter as well as serving in an ultra-cosy tea room, decorated with antiques from the four corners of the world (porcelain and faience, paintings, Chinese plates from the eighteenth century…). You will also find accessories for the preparation or consumption of tea here, such as spoons in bamboo or earthenware bowls, even books, including “L’Heure de véri-thé”, Editions Baker Street, about the history of tea. This is a place to lunch, snack or even brunch on Sundays. Hot dishes for lunch (soups, savoury pies), homemade pastry for the afternoon (Devon scones, pound cakes, cookies…). But usually you’d go there for having a traditional tea. And for Christmas, enjoy their famous blend: “Christmas morning tea”. A strong supporter of sensible agriculture, Arnaud Bachelin favours natural tea from the garden and invites you to discover “beaux crus” (fine raw teas) renewed at the rhythm of harvest and shipments. The menu, produced on the same paper that wraps the tea, is in itself an invitation to travel in the footsteps of Robert Fortune, the famous English botanist, through the different teas: yellow, white, red, green, blue/green, blue/black or even dark and vintage… The shortest way to Asia now passes through Saint-Germain-des-Prés.